Notes and Nerds: Win Every Single Star Wars Original Trilogy Argument EVER! Win Every Single Star Wars Original Trilogy Argument EVER! On of the greatest arguments that plagues geeks and nerds alike today is in regards Star Wars content. Great arguments may break out while trying to remember if a line in the original trilogy is actually from the original release of the films, or one the many alterations. Is a certain scene originally in the film, or later added deleted sequences? Settling such an argument can be immensely difficult due to just having a copy immediately available. Well, look no further! 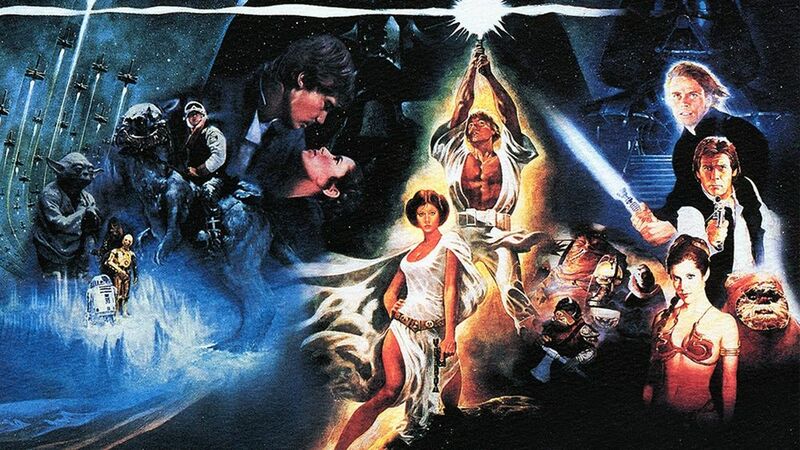 On his page, you can also find a playlist for the deleted scenes for Star Wars Episodes I - VI. He hasn't posted the deleted scenes for Episode VII, but I wouldn't hold my breath on that, either. Ya know, due to being released by Disney and all.